Recently, in compliance with the Delhi High Court’s observation regarding the running of diesel taxis in Delhi, the Delhi transport department has begun to impound the taxis of app-based provider Ola. The prime reason is that about 80 per cent of them are unfit as they are running on diesel, according to a statement made by state Transport Minister Gopal Rai. However, they continue to operate within Delhi using the All India Tourist Permit (AITP) loophole. But Section 88 (9) of the Indian Motor Act clearly states that all such cars can only be used for tourism purposes where CNG might not be available. Under no circumstances should they be used for point-to-point city service. Similar tactics are used by diesel goods carriers which operate in Delhi but register outside or register a Euro III vehicle and avail national permit. Diesel vehicles of Euro III emission norms are coming back in large numbers through these taxis and trucks. Over the past few years, taxi aggregator companies Ola and Uber have become a preferred source of public transport in India’s major urban areas. Cumulatively, in Delhi alone, they operate 25,000 cabs and are growing at more than 20 per cent month-on-month. 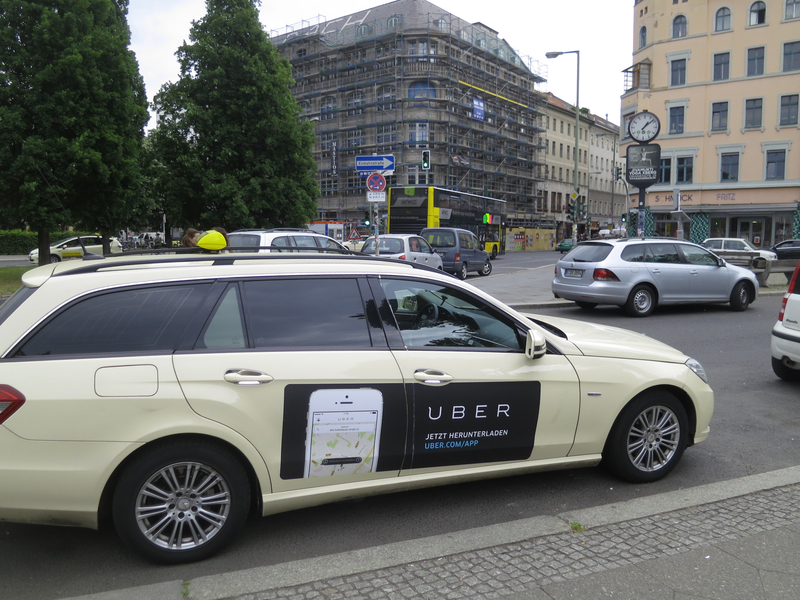 But unknown to most of their consumers, these companies illegally use diesel cars for point-to-point city taxi service. It has been found that there is a reluctance to install GPS in taxis also—which can immensely help to identify and locate a taxi or driver in case of safety-related concerns. The Delhi High Court has taken cognizance of these violations and in an interim order dated July 29, 2015, ordered Ola cabs to operate only using CNG cars. Delhi State Transport Authority (STA) has been mandated to implement this order. Delhi STA has sent a notice to Uber as well to stop operations on this account. However, in complete defiance, both these companies have continued to operate their diesel fleet. Ola and Uber’s diesel cars travel 2.5 million km per day in the National Capital Region (NCR), burning more than 0.2 million litres of diesel daily. Had this distance been covered using CNG, we would have saved putting 382 tonnes of CO2, 2.7 tonnes of NOx, 1 tonne of SO2, 1.5 tonnes of PM2.5, and 2.5 tonnes of PM10 in Delhi’s environment every single day. These calculations have been done using conservative estimates of the number of cars, daily trips, average distance per trip, fuel efficiency, fuel source etc. and actual numbers could be much more. The future holds an even scarier scenario in store. Both these companies are aggressively raising investment and plan to grow their business 10 times within one year. Going by their record of absolute disregard for the law as well as court orders, it is only reasonable to believe that they will continue adding only diesel cars to their fleet because it suits their business operations. These companies are actively building a complete ecosystem of diesel cabs across India. Even if these companies get banned, the cars they add will continue plying on our roads. We need to nip this in the bud before the problem becomes unmanageable. Uber is the fastest growing company in the world. It recently raised $1 billion from a consortium of investors including the Bennett Coleman group of India, valuing the company at $50 billion. Ola, in the past nine months, has raised over $610 million, led by Softbank of Japan, making it worth more than $2.5 billion. These cash-rich companies have almost an equal market share (word on the street, no official data available) in the taxi aggregator space but are competing aggressively to gain market share. Uber’s replies to our query on why are they using diesel cabs makes for an interesting point about the loophole in regulations. “(In any case) the diesel cabs were anyways being used in Delhi by misusing the AITP loophole, so we should also be permitted to continue doing so.” They did, however, express a feeble interest in working towards implementation of clean fuel technology without providing any specific plans. It is a known fact that both companies assist in addition of diesel cabs to their fleet by providing financial support to individual drivers and small fleet owners in the form of leveraged loans, payment guarantees, and direct re-payment to banks. Other companies under the Radio Taxi permit like Meru Cabs and Book My Cab have suffered by following the well-intended order of running CNG taxis. Meru is one of the petitioners in the Writ Petition against Ola. They say that they have operated only CNG cabs in cities where it is readily available, and re-iterated their commitment towards environment-conscious and legally-compliant business. Book My Cab recently acquired a license to operate in Delhi and plans to launch operations with CNG vehicles, as they do in Mumbai. Delhi’s State Transport Agency (STA) stated that while they have tried to physically impound Ola’s cabs, it has proven to be impossible to shut down their operations given the scale. Delhi STA has asked the Department of Telecommunications (DoT) to block their website and app, but the DoT has not complied to the request. STA has expressed helplessness in implementing the court’s order without support from the union government. After the 1998 Supreme Court judgment on CNG in Delhi, the Bombay High Court in 2002 ordered phasing out of all autos and taxis older than 10 years not running on CNG. The spirit of that judgment has been implemented in Mumbai since then. Non-CNG taxis were not being registered, that is, till Ola and Uber came about. Hyderabad passed a similar order in 2012. CNG is now readily available in many urban centres in India like Pune, Ahmedabad, Vadodara, Indore and Vijayawada and all registered cab companies in these cities have only CNG fleets. While diesel was deregulated in October 2014, it still enjoys subsidies in from of tax rebates of about Rs. 5 per litre. Ola and Uber cumulatively are costing the exchequer Rs. 80 crore annually at their current operations size. Prior to October 2014, they would have benefited from the direct subsidy as well. It is imperative that Ola, Uber, and all similar companies violating the law of the land in letter and in spirit, be stopped immediately in Delhi. This will be needed to ensure effective implementation of ban on all diesel vehicles for point-to-point city cabs across all cities where CNG is readily available.